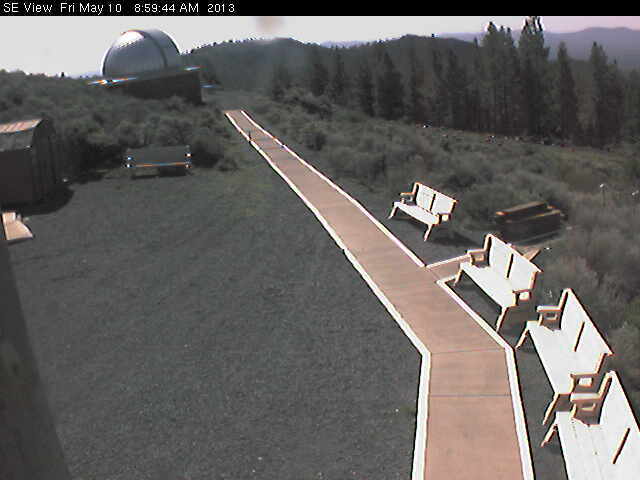 The Pine Mountain Observatory is located 26 miles SE of Bend OR which is located in Central Oregon. It is at an elevation of 6500 feet. Telescopes of aperture 15, 24 and 32-inches are there. The facility is operated by the University of Oregon Physics Department. The Prime Focus of the 32-inch telescope now has a research grade 1024x1024 thinned, rear illuminated, blue-sensitive CCD camera which has a field size of approximately 36x36 arcminutes. 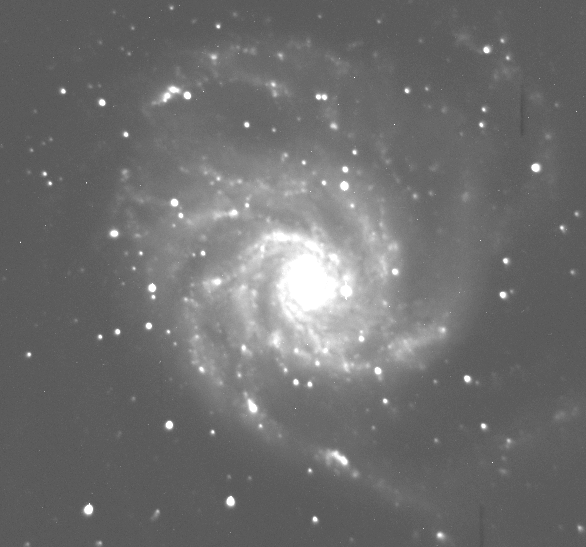 The telescope still has some tracking problems, so exposure times longer than 20 minutes are problematic. Our current internet conectivity is now provided by a direct T1 connection with the University of Oregon campus. In addition, there is also wireless coverage on the mountain. This connection leverages the previous infrastructure of the NERO network .